Youth & Students with valid student IDs (Free). The Conservatory Classic Jazz Band opens and closes the music, with a Jam Session in the middle. All are welcome to sit in or just sit back and enjoy! 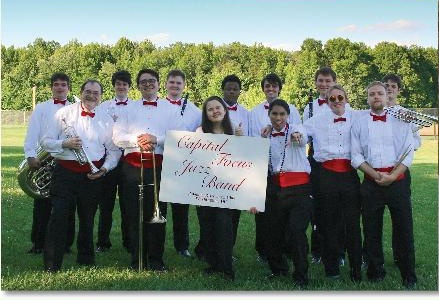 The Conservatory Classic Jazz Band was formed in 2003 to present the sounds of traditional jazz to Washington DC audiences. A seven-piece group, they play New Orleans style, Chicago style, small-group swing, and mainstream. 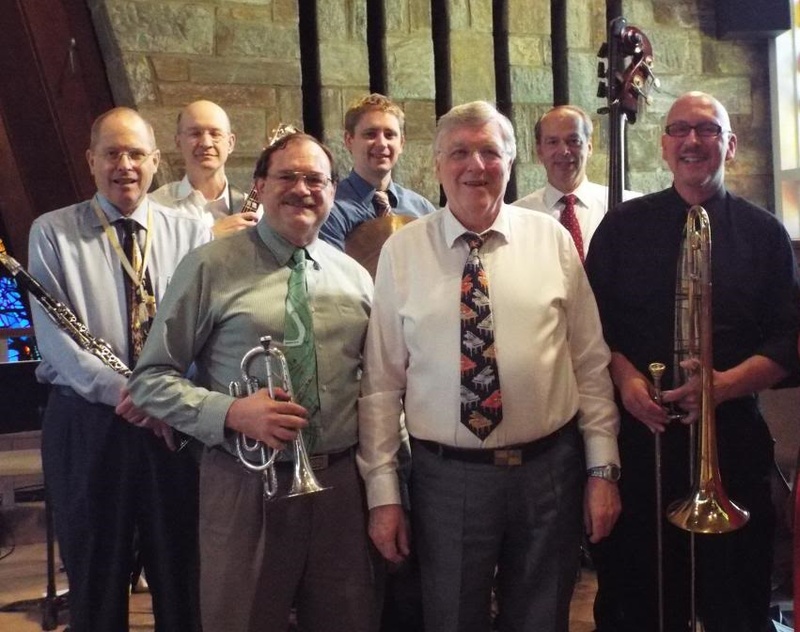 CCJB members include Dave Robinson, leader/cornet/trumpet, Brian Priebe on trombone, Gary Gregg on clarinet/sax, Dan Hall on bass, Jeff Reynolds on guitar/banjo, Brian Alpert on drums. Non-Jammers ($10), Youth & Jammers (Free). Come join the PRJC with George Welling and the Capital City Stompers along with other local musicians including our favorite reed-man Henning Hoehne. George Welling has assembled a truly stellar group for the PRJC May concert, bringing together musicians from the DC area and the capitals of PA and MD. The front line united clebrated clarinetist Henning Hoehne with Rhoades Whitehall on trombone and cornetist Ben Mauger. DC noted drummer and band leader Brooks Tegler headlines a solidly-swinging rhythm section, Bob Kreitz on piano, and George Welling, banjo and guitar. 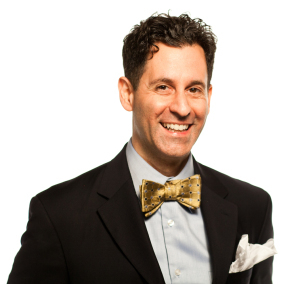 The PRJC welcomes Neville Dickie back in June! Neville is the UK's foremost stride and boogie woogie pianist. He has delighted audiences all over the world for the better part of 5 decades. Neville has thriled the PRJC since 2013, and will once again travel across the Big Pond and bring his superb talents to us, joined by our own exceptional CCJB, whose members include lead Dave Robinson on cornet/trumpet, Brian Priebe on trombone, Gary Gregg on clarinet/sax, Dan Hall on bass, Jeff Reynolds on guitar/banjo, Brian Alpert on drums. Calvary Lutheran has again allowed us to use their facility for the concert - their excellent piano is well tuned and the acoustics are great. This is a concert you don't want to miss! Directions:: From the Beltway, exit south on Georgia Ave. The church is on the east side of Georgia, immediately south of the beltway (that would be on your left). Going across Georgia Ave. to enter the church can be difficult so, proceed south on Georgia about one block and turn into the shopping center with the Staples Store on your right. Continue thru the parking lot and turn left onto the exit street, Seminary Place. From there, you will be able to safely and easily get back to Georgia Avenue because there is a traffic light at Seminary Place. PRJC members ($20), General admission ($25; $22.50 in advance), Youth & Students with valid student IDs (Free). If you do not know Harry, he is an absolute genius player. It is a treat to hear and watch him! Harry performed for 22 years with the United States Army Band in Washington, DC, where he was a member of the Army Blues Jazz Ensemble and the U.S. Army Brass Quintet. Harry has toured extensively with such greats as Doc Severnnsen, Al Hirt, Pete Fountain and Lou Rawls. Watters' professional performing experience draws from multiple genres spanning three decades. Prior posts include bass trombonist with the Baton Rouge Symphony, staff musician at Walt Disney World, leader and musical director for the Dukes of Dixieland and bandleader at the Main Street Station Hotel and Casino in Las Vegas. Harry has toured with the Boston Brass and performed with Jens Lindemann, John Clayton, Sam Pilafian, Kenny Loggins, Alan Vizzutti, Doc Severinsen, Bonerama, Al Hirt, Pete Fountain, Erich Kunzel, Doug Yeo, Kevin Mahogany, Wycliffe Gordon, Lou Rawls, Maureen McGovern, Bill Watrous, Carl Fontana, Jiggs Whiggam, James Moody and Peter Erskine. 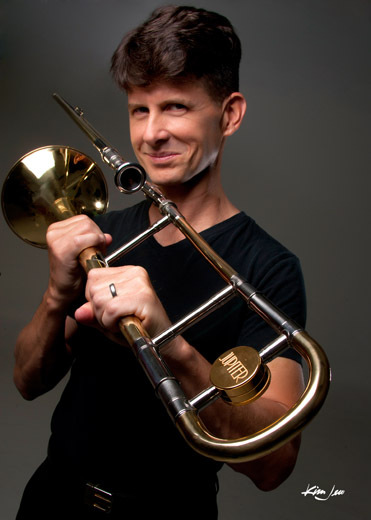 In addition, he has appeared as a featured soloist with the Salt River Brass under the direction of Patrick Sheridan, the Syracuse Symphony, the Baton Rouge Symphony, the Louisiana Philharmonic, the Tulsa Pops, the West Virginia Symphony, the Huntsville Symphony Orchestra, the University of North Texas One O'Clock Lab Band, the Janacek Philharmonic, the Moldovan Festival Orchestra and the U.S. Army Orchestra. 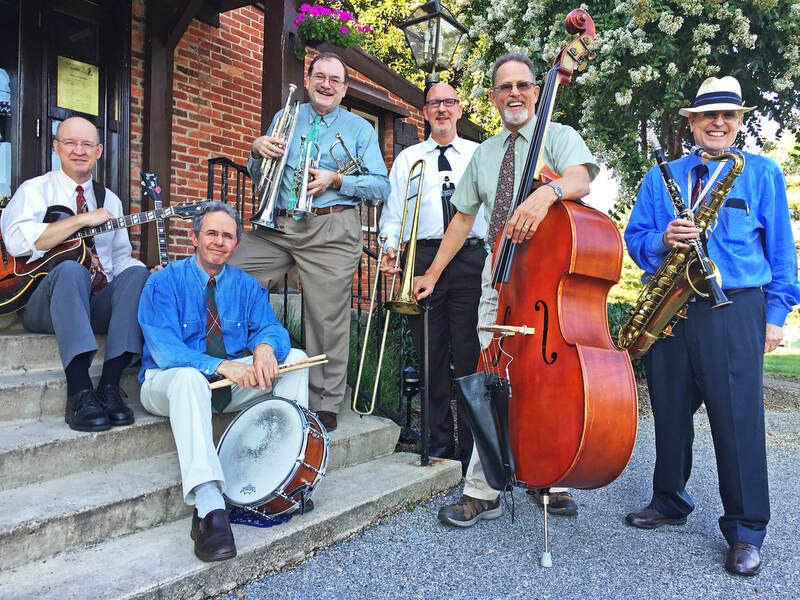 The Red Lion Jazz Band has been the Delaware Valley's leading revivalist Dixieland combo for 50 years. Leader Tex Wyndham has a national reputation both as a performer and an authority on early jazz. He can be heard on some 40 recordings including performances with Wild Bill Davison, Maxine Sullivan, and Banu Gibson. 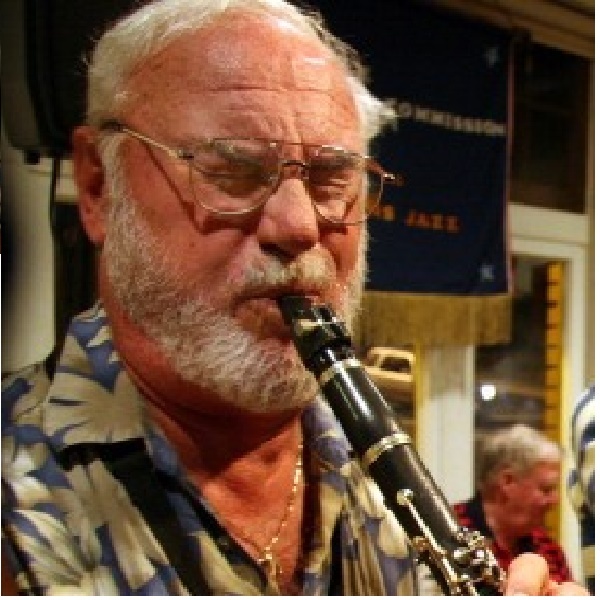 He is the author of Texas Shout: How Dixieland Jazz Works and in 1998 was nominated for a National Heritage Fellowship in Folk and Traditional Arts. 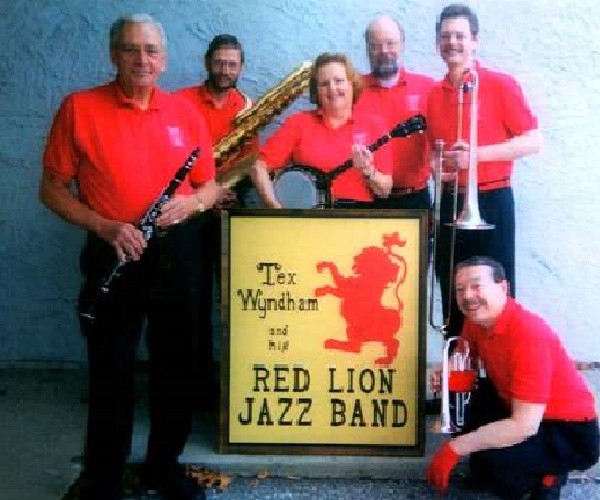 The Red Lions play a cross-section of America's popular music from about 1895 to 1930 including blues, marches, cakewalks, and rags. Admission: PRJC members ($20), General admission ($25; $22.50 in advance), Youth with valid student IDs (Free). PRJC Holiday Bash with The Keating Jazz Orchestra and Two Beat Dames. The KJO Two Beat Dames was founded in 2014 by sister and brother duo, Kayla and Marty Keating. KJO is a collaboration of young, professional and talented musicians from the Pennsylvania and New Jersey area all with a passion for Jazz. 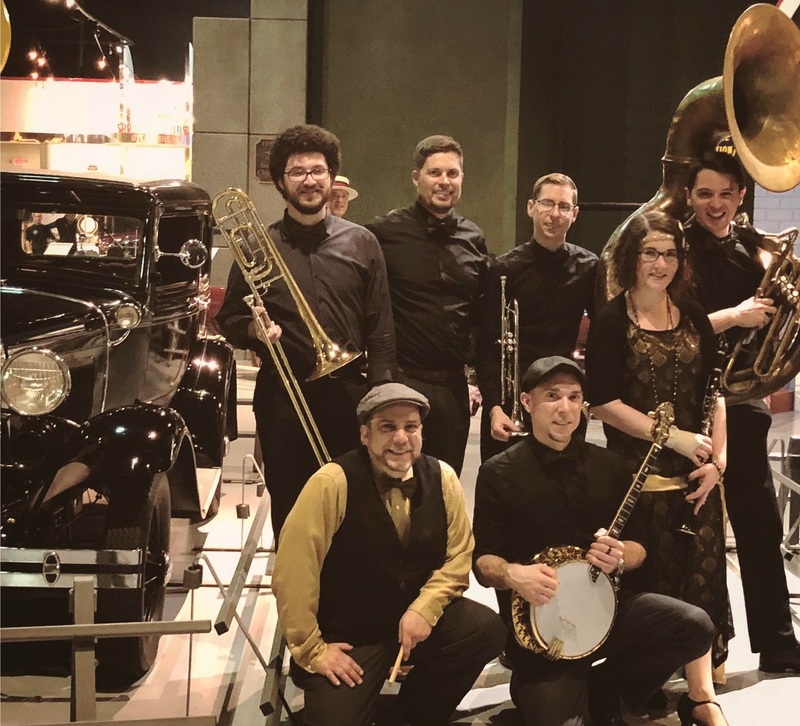 Inspired by Benny Goodman, Glen Miller, Frank Sinatra, Michael Buble, Michael Arenella and his Dreamland Orchestra, and the Dixie Ticklers, KJO specializes in music from the 1920s, 30s, Dixieland, and Big Band. What a wonderful way to celebrate the holidays! Rosensteel Hall Directions: From the Capital Beltway (I-495) in Maryland take Georgia Ave. (Md. Rte. 97) a short distance north to signal at Forest Glen Road (Md. Rt. 192). Turn left and go west 0.4 miles. Turn right on Rosensteel Ave. The Hall is at 9707 Rosensteel Ave. on the right, opposite a church and cemetery. Parking is in the back. * This location is metro accessible: FOREST GLEN METRO STATION is only 2-3 blocks away. Rosensteel phone is 301-588-3303. Calvary Lutheran Church Directions: Calvary Lutheran Church, 9545 Georgia Avenue, Silver Spring, MD. Planning an event where a jazz band would add excitement? 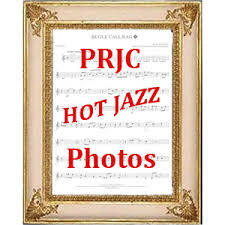 Check our listing of PRJC-affiliated bands and contact them directly for rates and availability.